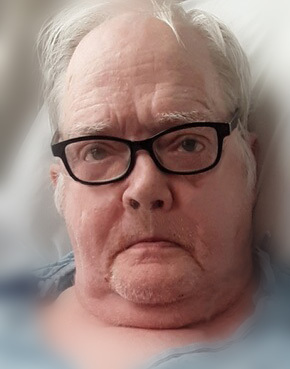 John D. Groff, Jr., 73, of New Carlisle, passed away Tuesday, January 22, 2019. He was born March 5, 1945 in Mobile, AL, the son of the late John D., Sr. and Eloise Groff. John was a proud U.S. Marine Veteran serving in Vietnam. Before retirement, John was the owner/operator of Pat and Martha's Bar in Crystal Lake. John is preceded in death by his sister Margaret Groff Olender. He is survived by his niece Adria Olender; nephews Eric and Alex Olender; and several close friends. A funeral service to honor John will be Friday at 11:00 AM in Trostel, Chapman, Dunbar & Fraley Funeral Home, with visitation beginning at 10:00 AM. Burial will follow in Glen Haven Memorial Gardens. Expressions of sympathy may be made at www.trostelchapman.com.